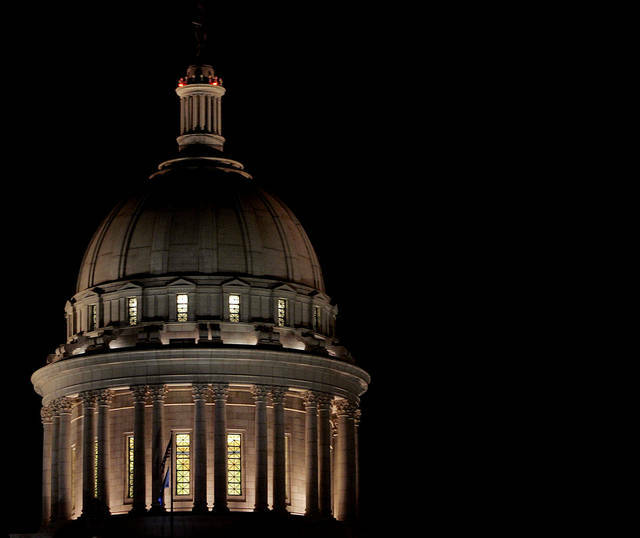 Under a cloak of secrecy and the cover of darkness, last night the Republican-led Oklahoma House of Representatives passed the largest tax increase since at least 1990 by a vote of 79 to 19. 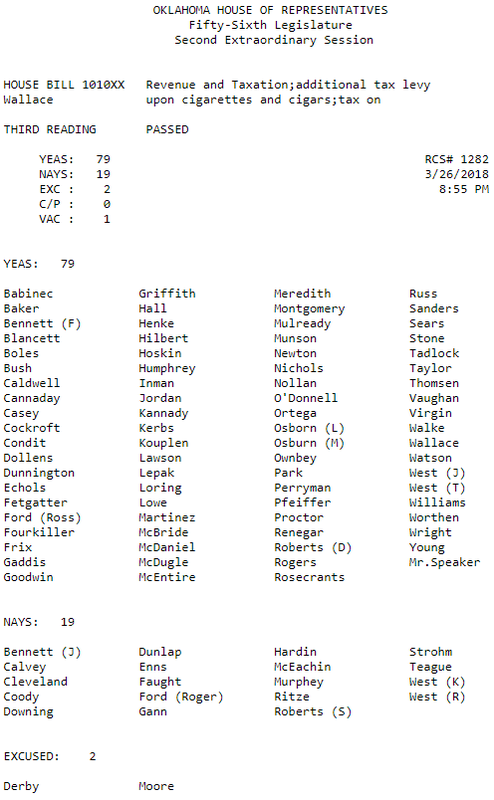 Below is the roll call vote for HB1010XX. 51 Republicans and all 28 Democrats voted in favor, while 19 Republicans voted against. Grand total of tax increases is $533,736,500.00. The measure was brought up without time for legislators or the public to view the language of the bill. State Rep. Jason Murphey (R-Guthrie) posted HB1010XX and several other bills that were voted on last night on Twitter so that reporters and the public could view them before the House began voting. 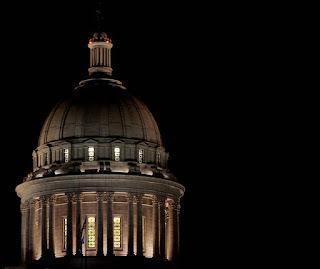 The small-but-dedicated Capitol reporting corps had been lamenting the fact that the measures were not posted on the Legislative website, so Murphey brought some much-needed transparency to the situation. The Oklahoma Legislature thrives on secrecy and keeping the public unaware of major legislation like this before they vote. It seems that every major tax vote that has been taken in the last two years has been late at night, often with the measures unavailable for reading online, and voted on before the ink can dry or the bill even finish printing, much less in time for legislators to skim through the bill and read the language (never mind their constituents). This heavy-handed and secretive method of running government must end. Didn't a second bill (capping itemized deductions) amount to about a $64 million tax increase?